"MINNESOTA DJS, MN WEDDING DJS, MN WEDDING DISC JOCKEYS" ~ "WISCONSIN DJS, WISCONSIN WEDDING DISC JOCKEYS, WI WEDDING DJS" ~ Wedding Reception Disc Jockeys" ~ "Minnesota PROM DJS, Minnesota SCHOOL DJ DANCES" ~ "Wisconsin PROM DJ, Wisconsin SCHOOL DANCES DISC JOCKEY" ~ Living Water Music, Inc. DOCUMENT COPYRIGHT (C) 1998 - 2011 LIVING WATER MUSIC, INC.
WI DJ, Minnesota DJ, Wisconsin DJ, MN Disc Jockey, WI Disc Jockey, Wedding Music. Weddings in Minnesota, Weddings in Wisconsin, Wedding Specialist, Wedding Music. Providing Quality Music for Minnesota Weddings for 27 years. You Deserve the Best. Wedding Receptions, Wedding Dance, Wedding Band, Wedding Music, Wedding Disc Jockey. Wedding Music, Bridal Party Music, Bridal Music, Bridal Disc Jockey, Music for Your Wedding. DJs in Wisconsin, Disc Jockeys in Wisconsin, Find a DJ in Minnesota, Find a DJ in Wisconsin. Living Water Music, Inc. - serving brides & grooms for 27 years. Doesn't Your Wedding deserve the best? 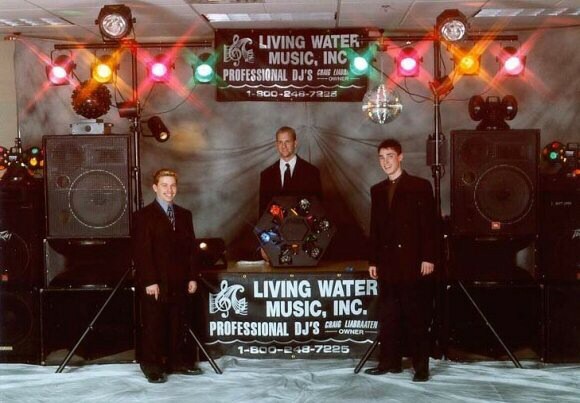 Living Water Music, Inc. - serving proms and school dances for 27 years. Doesn't Your School deserve the best?